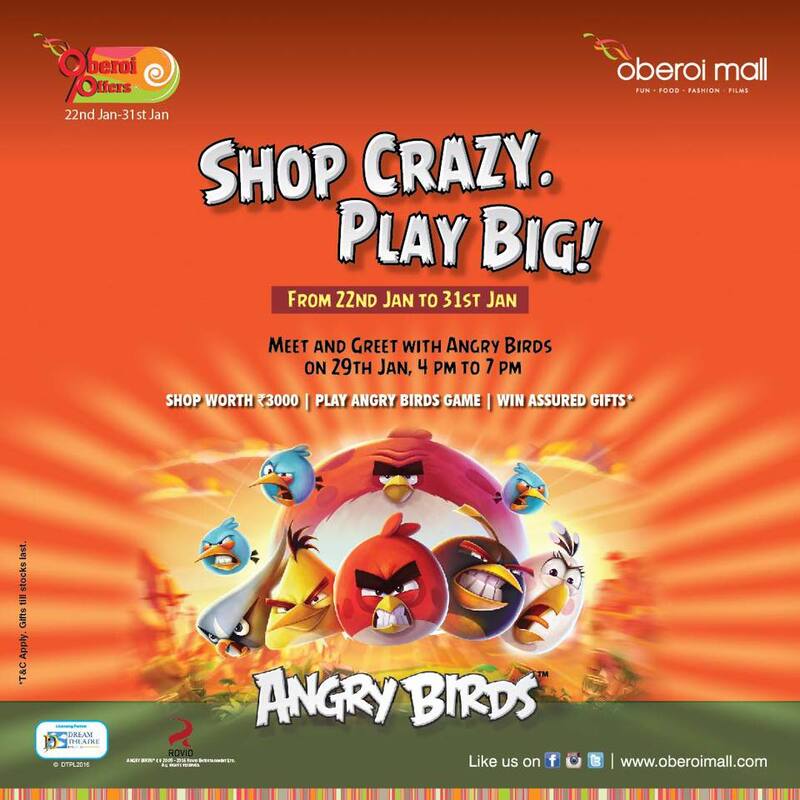 Oberoi Mall, one of Mumbai’s leading retail malls, knocked out competition by adding an Angry Birds twist to their End of Season Sale this January! The mall had an Angry Birds gaming zone and also played host to the iconic Angry Birds ensuring a massive increase in footfalls with kids ensuring that parents chose Oberoi Mall as their shopping destination over others. Customers shopping for INR 3000/- and above stood a chance to play the “Knock the Pigs” game set up in the Mall atrium and win Angry Birds merchandise. In addition, Angry Birds fans had a chance to meet the Angry Birds in the grand finale of the event! For more information on how to add Angry Birds power to your events, contact us at info@dream-theatre.co.in and watch this space for more Angry Birds news! Previous PostPrevious Simpson’s fans in the country can now bring the family home! Next PostNext Calling all Family Guy Fans!